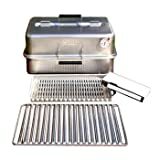 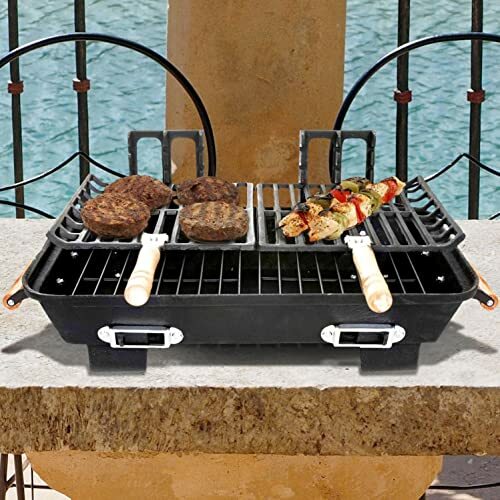 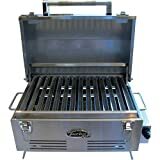 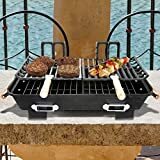 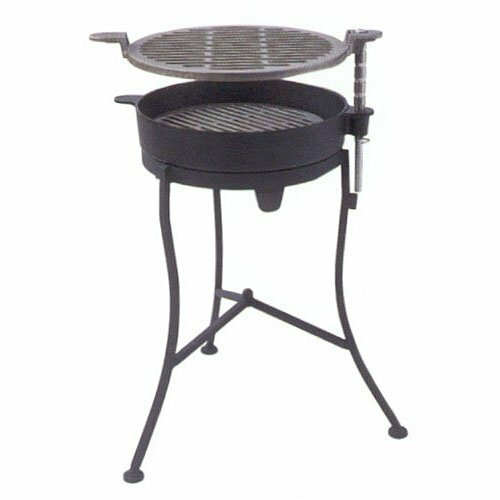 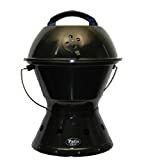 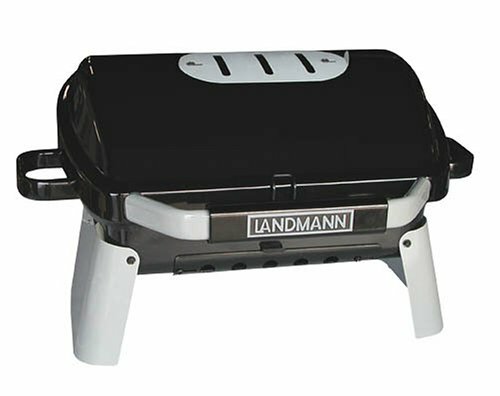 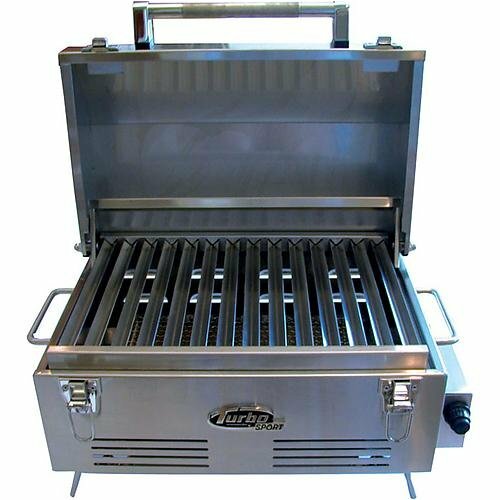 I've been shopping around for a grill for awhile and was looking for something small enough to take with on our white water rafting/camping trip to Wolf River, Wisconsin. 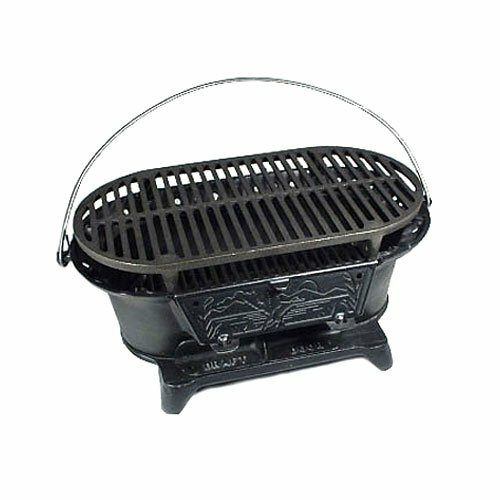 for the same one advertised here, by BBQ Guys and it to is cast iron. 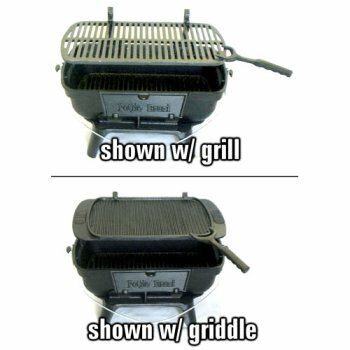 I bought my grill in the summer of 2003 and have gotten great use out of it since. 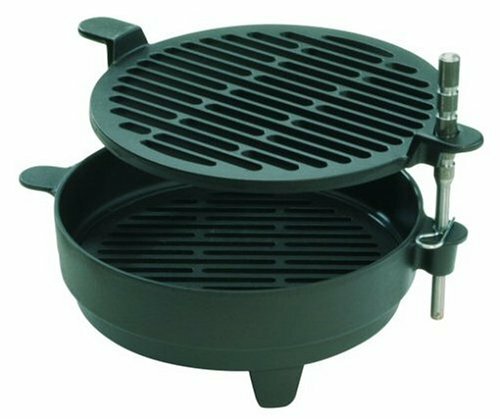 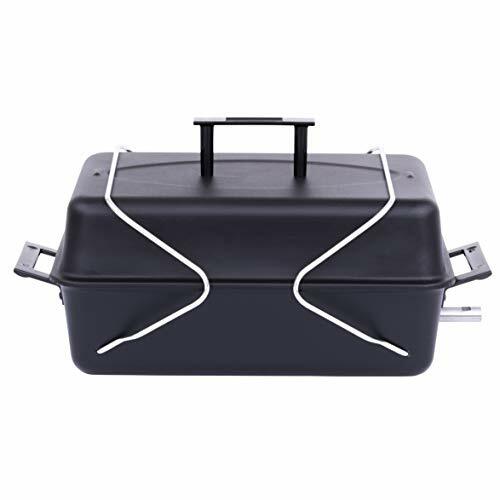 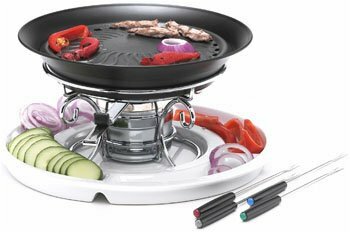 The griddle section is great for chicken, fish, and whatever else you'd use the griddle for. 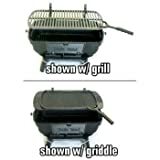 The grill section does a nice job also, especially for marinaded items. 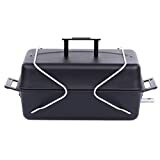 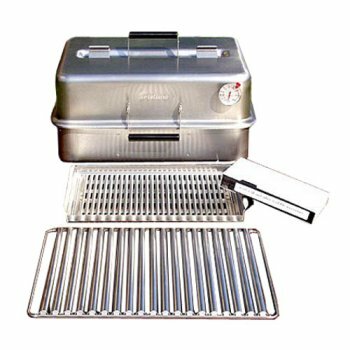 The heating surfaces are interchangable with a stove, griddle and grill sections you can buy separately (Best prices I've found are through the manufacturer). I brought my grill camping last summer and put it through a good workout, it only used one of the small propane bottles. 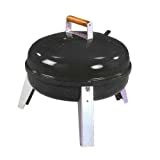 You can also buy an attachment to run a big tank off it.